Dear all! 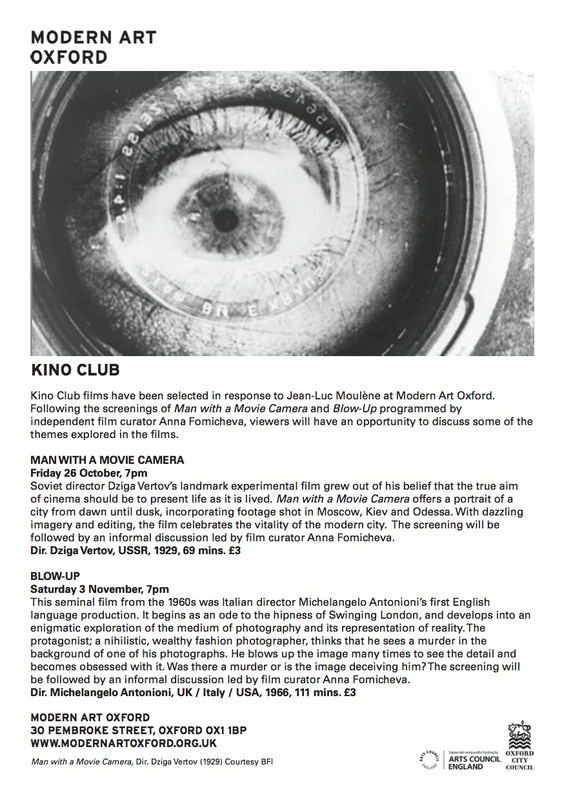 On Friday 26 October Modern Art Oxford will be screening one of the most important and influential Russian films as part of Kino Club, the film club which I curate and run. 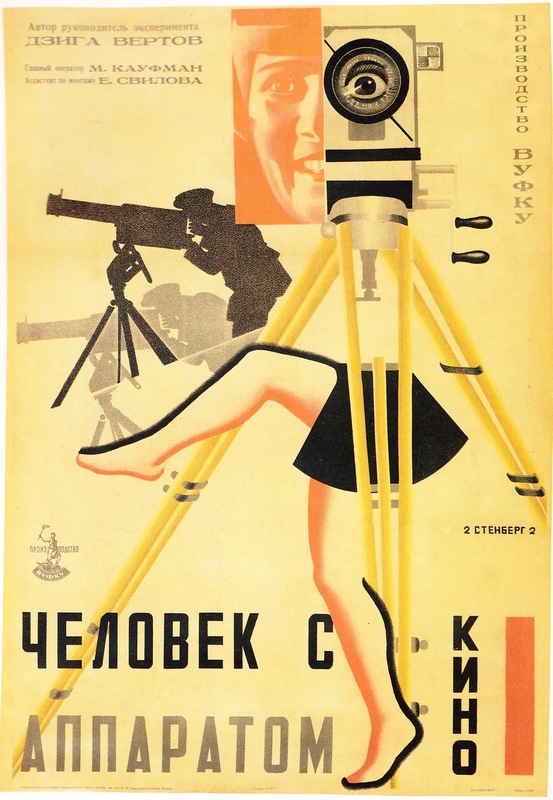 Voted into the recent top 50 Greatest Films of All Time by the Sight & Sound magazine at number 8 (yes, I know how arbitrary it all is, but this might give you the scale of the film’s importance) Dziga Vertov‘s Man with a Movie Camera (“Человек с киноаппаратом”, 1929) is a remarkable cinematic achievement that feels ahead of our time, let alone its own. The film contains an awe-inspiring density of innovative cinematic techniques and daring editing by Vertov’s wife Elizaveta Svilova that will make your heart race and the hairs on the back of your neck stand up. Vertov’s camera famously changed the possiblities of human perception of the world, and contributed to the establishment of the art of cinema as a unique and inimitable medium. The screening of the film will be followed by an informal disuscussion with some (discounted!) drinks and encouraging atmosphere. The Kino Club film discussion group hopes to encourage viewers’ active engagement and interaction with the film medium as well as with each other. By mixing genres and cultural contexts in our programming we plan to explore and contrast different possibilities within cinema and in our perceptions of it. We’ll follow our screenings with group discussions about the films and the issues they raise, in which all are welcome to participate or observe. You don’t need to be a film critic to have interesting and valid thoughts on movies. We welcome all opinions, so come and talk film with us in a friendly and intellectually engaging atmosphere. We look forward to welcoming you. And here’s a flyer for this season’s programme.